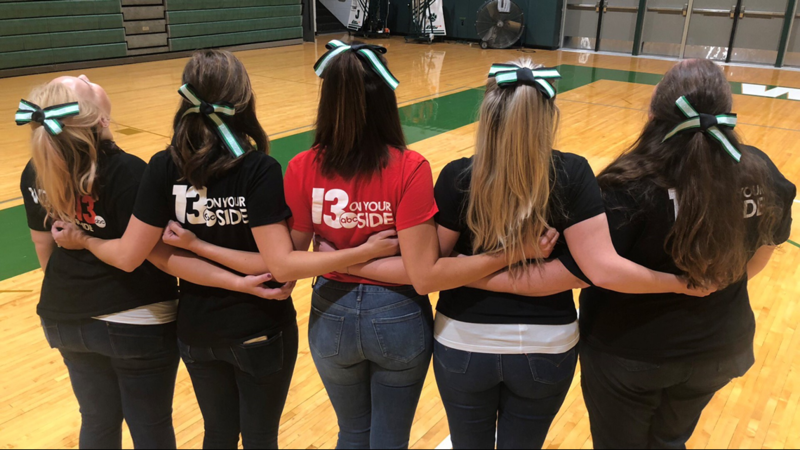 It is the fifth edition of Sunrise Sidelines on 13 ON YOUR SIDE Mornings and this week we are in eastern Ottawa County to roar with the Jenison Wildcats. 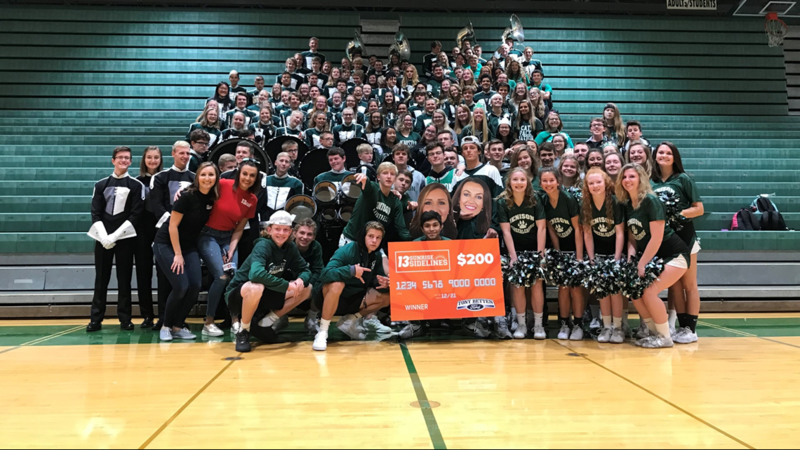 GEORGETOWN TOWNSHIP, Mich. - The students at Jenison High School are already proving that they're the leaders of tomorrow. 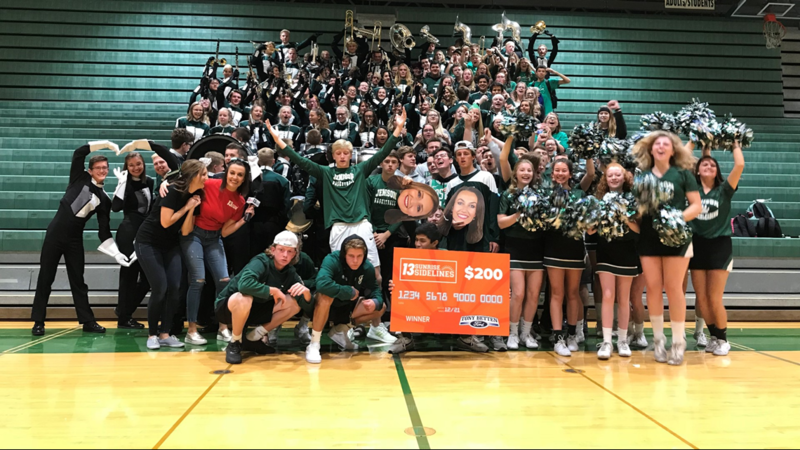 The student council has proven itself effective, coming up with outdoor classrooms and a 2018 Homecoming that's Make-A-Wish themed. It'll bring a tear to your eye. The football team at every school is made up of tough guys. But the team at Jenison is proving their hearts are their biggest muscles of all. They've created an anti-bullying program. 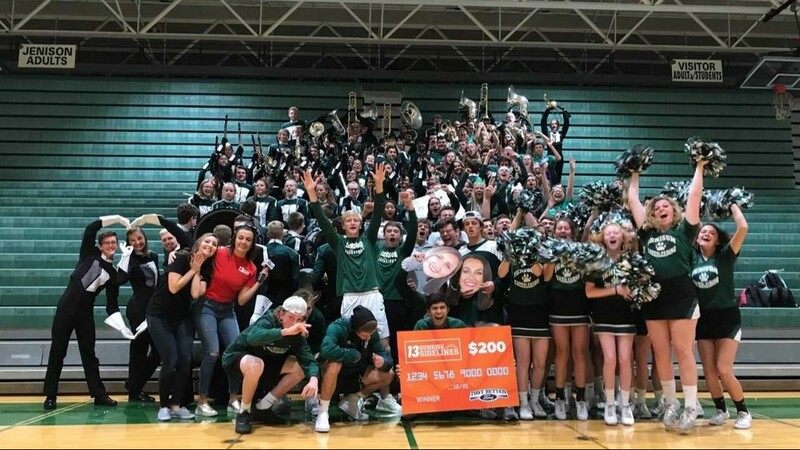 As Kenny Chesney sang, football players are the "Boys of Fall," but at Jenison, everyone stops what they're doing at halftime to see the band in action. And during a live performance on Friday, Oct. 5, on the morning of their homecoming. We usually crash classrooms during Sunrise Sidelines but this time we decided to change it up a little bit and hit up the cafeteria so we could feast with the Wildcats. 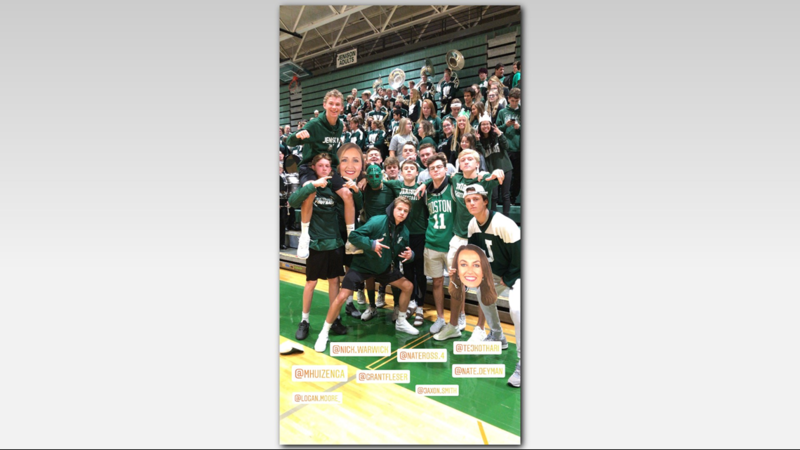 Jenison's sports teams will have to have some support to get through the loaded OK Black conference. Luckily, they have a secret weapon called the "Cat Pack," and we got to meet them. And even if they lose some of that spirit, they'll have the cheerleaders to pick them back up. We've noticed a pattern at Sunrise Sidelines this year. The teachers are changing up their strategies in the messy game. Instead of going for a win, they're just competing to see who can make their fellow educators messiest. And we rounded out the morning by finding out who won that $200 prize. Turns out, he got the ticket from his buddy so he's going to share some of the winnings with him and use the rest to buy his boys breakfast. 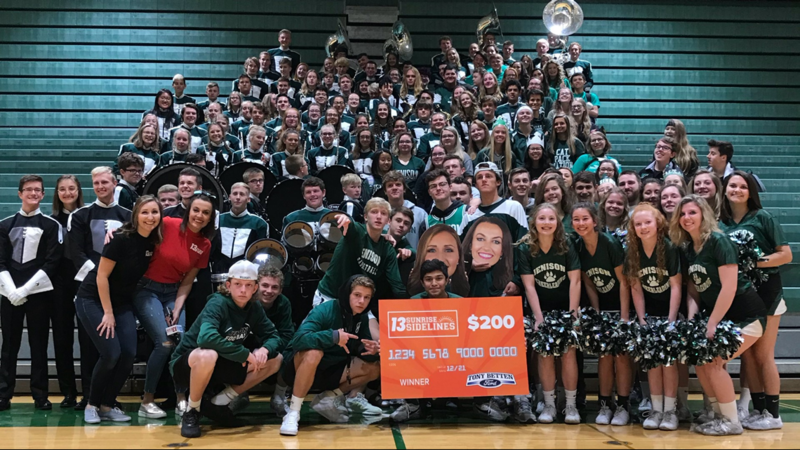 Thank you, Jenison Wildcats! It was a privilege to meet you and to see all the great things you've got going on in eastern Ottawa County! 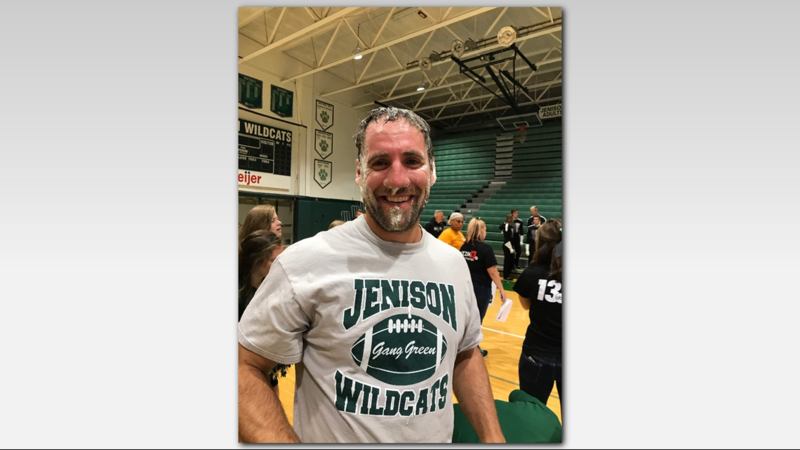 In the fifth edition of Sunrise Sidelines on 13 ON YOUR SIDE Mornings, we went to eastern Ottawa County to roar with the Jenison Wildcats.